Promoting the Sufi message of love, compassion and service to humanity, a spiritual centre at Parel, Mumbai, the Dargah of Sufi Saint Hazrat Noori Shah Baba Alaehirrahma is a centre for the wellbeing of the visitors and cancer patients visiting Tata Memorial which stands near to the Dargah premises. 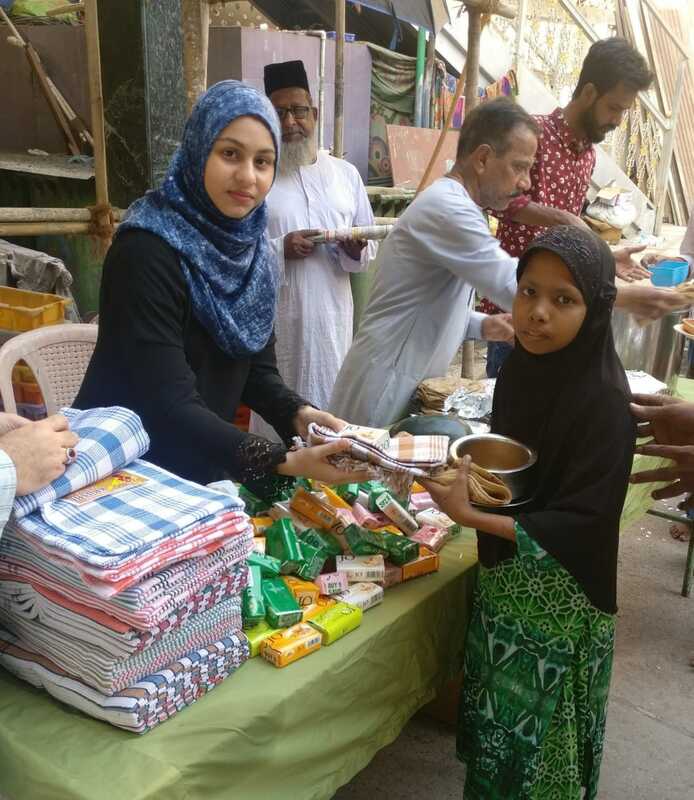 Hopes India, an NGO started an initiative of organising free Medical facilitation camps at the Dargah premises nearly every Sunday during the weekend. It is worth noting that the Dargah is not just a spiritual centre for the followers, however, serves as a centre for humanitarian efforts in the metropolitan life of Mumbai, providing free accommodation and food to hundreds of cancer patients and their attendees who stand awaited at Tata Memorial Hospital. The NGO, Hopes India which is currently supporting the medical and food facilities at the Dragah, is a body of a philanthropist who is always at the forefront of humanitarian efforts by providing free medical facilitation camps, meals and lodging to patients and their attendees. Hopes India is trying hard to maintain health and hygiene at the premises by taking care of the accommodation, food and medical facilities. Hosted by Noori Shah Baba Dargah Trust, the accommodation facility at Dargah has indeed proven to be a great help for patients waiting for treatment and appointments. Cancer patients from across India visit Tata Memorial every year and Hopes India supports by providing every possible help to the approaching patients would need during their stay while they are diagnosed at the Cancer centre. Speaking to one of the recent visitors and benefactor of the Dargah and Hopes India facilities, Master Shakeel Subhani a resident of Malegaon who recently visited Tata Memorial to get her daughter treated at the cancer centre said: I am extremely overwhelmed and thankful to Hopes India for their selfless support during my visit, the entire staff of Hope India was supportive and extended every possible help to facilitate and made my visit comfortable, they not only provided accommodation, however, helped by assisting and guiding us in the right direction towards the hospital formalities, appointments and diagnose. Rehan Dhorajjwala, one of the trustees in Hopes India said: it’s a legacy that we are trying to carry forward by working on the footsteps of Noori Shah Baba Alaihir’rahma who himself promoted the service towards humanity and helped needy. Speaking on the accommodation facility available at the Dargah premises, Mr Dhorajjwala said the building adjoining the Dargah Mosque has a facility of quarters available for accommodation, we try to maintain a clean and tidy environment at the compound since we are facilitating patients and keeping the premises health friendly is one of our priorities. The bathrooms and toilets at the accommodation compound are kept under strict heath guidelines and cleaned regularly by the housekeeping staff. Speaking on the food facility Mr Dhorrajiwala stated: we have a decent and healthy menu available for the visitors, our NGO provides breakfast as well as daily meals to those in need. 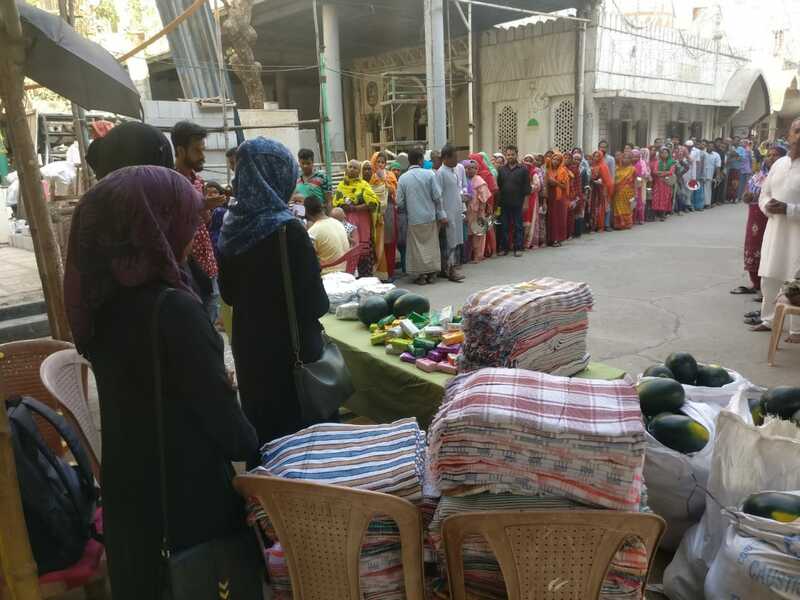 He further added: at present, the Dargah compound has a capacity to accommodate 500 folks at a time, there are around 350 patients available at present at the Dargah premises, our staff and our members are dedicated towards their wellbeing and facilitation. 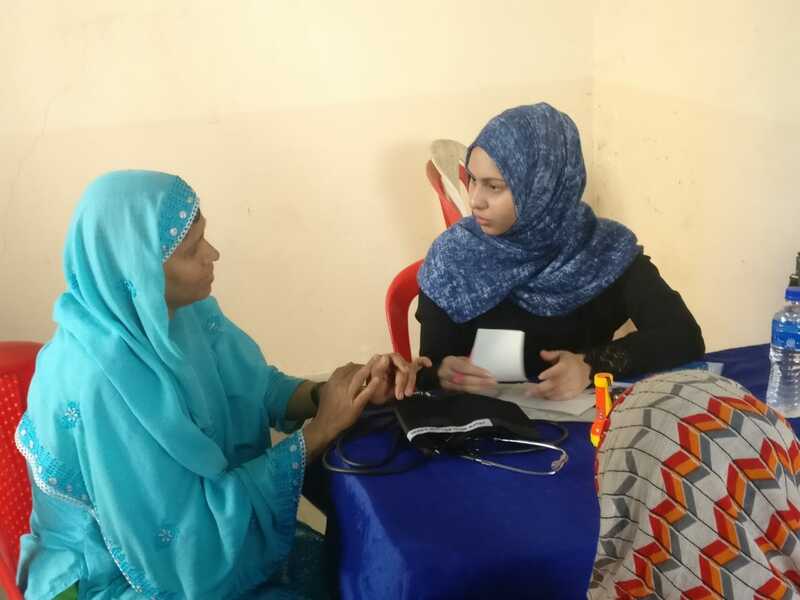 Our team of experienced doctors, namely, Dr. Irfan Matiyat, Dr. Afreen Matiyat and Dr. Nayab Kader help us in setting these medical camps during the weekends at the Dargah premises. They provide consultation, pathological tests, X-Ray facilities, blood and urine tests for free. Dr. Irfan Matiyat expressed his views at the end of this week’s medical camp, Matiyat said, “By the grace of Allah, we are in a profession where we daily deal with patients, Hopes India has given us an opportunity to give something back to the society. With Hopes India, we are able to take care of the underprivileged and we are grateful that we are able to do this for the benefit of the society”. Speaking on the medical camps Dr Afreen Matiyat said: There is a great need of such Medical facilitation camps at places where there is a volume of cancer patients. Dr. Nayab Kader said: Hopes India has taken a great step in the prevention of diseases and our fight against cancer.